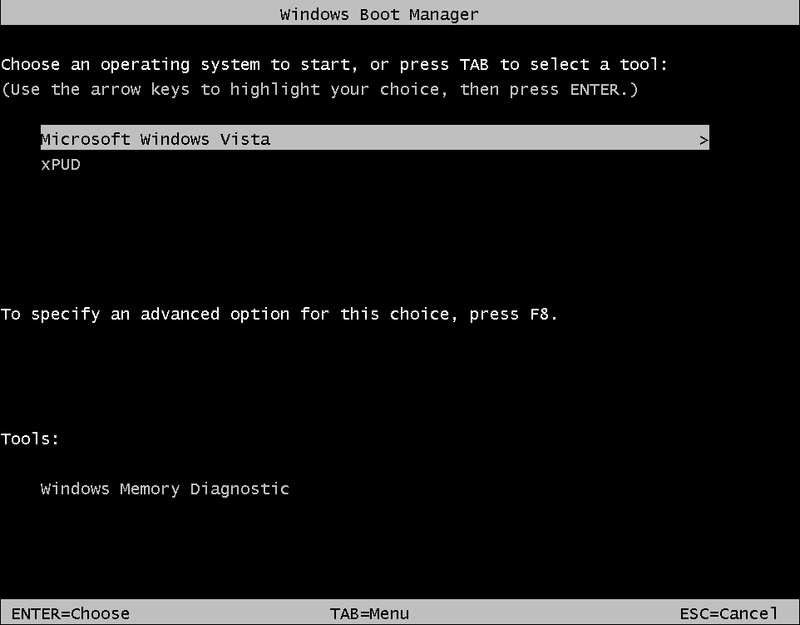 Still in testing, use at your own risk! 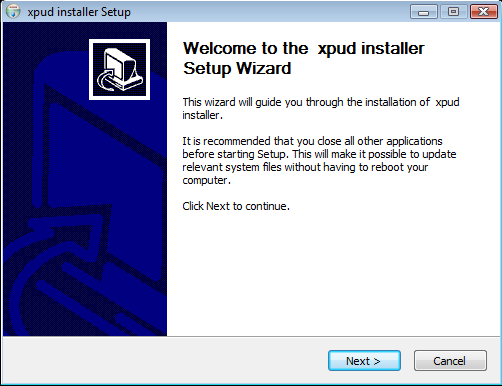 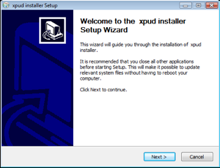 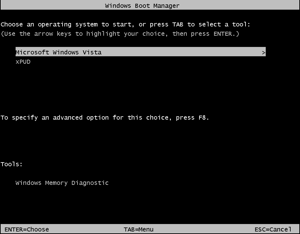 xPUD will be installed under C:\xpud and dual boot with Windows. 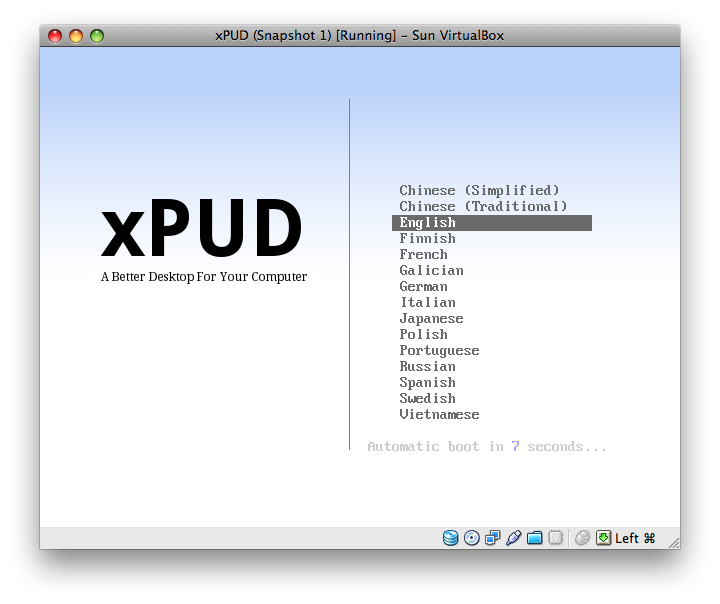 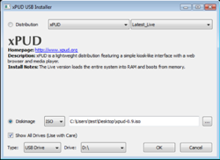 Due to the small size, xPUD comes with limited drivers and applications. 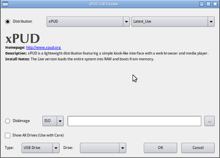 You can extend the functionalities of xPUD by using Opt-Get software plugin system. 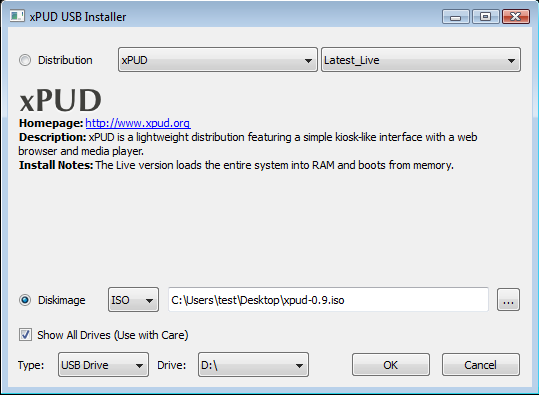 Download these Opt plugins, and put them under opt/ directory of your bootable device, they'll be auto loaded while xPUD is booting.